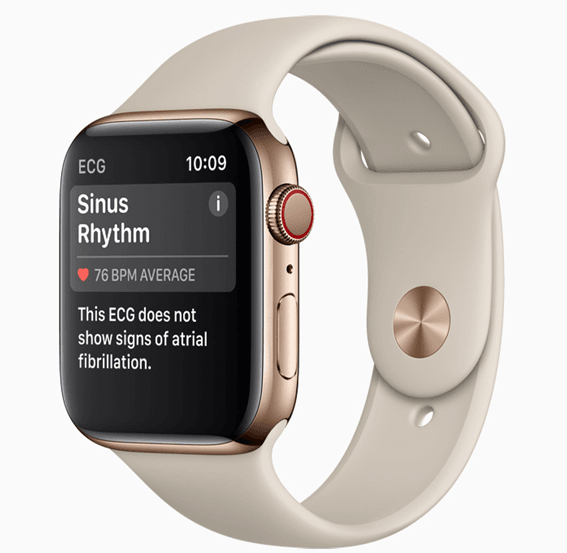 How To Get Apple Watch Series 4 ECG Feature Outside The U.S.
One of the best Apple Watch Series 4 features is undoubtedly the ability to take an electrocardiogram without visiting a medical facility. However, the Apple Watch Series 4 ECG feature is not available yet, and when it does arrive, it will be exclusive to U.S. users only. However, we’re now hearing that users could be able to use the feature outside the U.S. with a little tweak to the settings. The Apple Watch Series 4 ECG feature is a useful addition. Although it will never match the accuracy of medical specialists and their costly equipment, it does have the potential to save lives. Apple said previously that the feature will be added via a software update after the watch goes on sale. However, U.S. users are still waiting for the update. Meanwhile 9to5Mac claims a simple change in the settings could allow anyone to use the Apple Watch Series 4 ECG feature outside the U.S. as well. Software limitations can be easily bypassed, unlike hardware limitations. A similar change to the settings can allow users to access Apple News in unsupported countries. Apple already has FDA clearance for the ECG feature, but it is still waiting for clearance from medical authorities around the globe. This is why it will be exclusive to the U.S. for now. According to 9to5Mac, the only limitation that could prevent users from accessing the ECG feature outside the U.S. is device’s the location setting. For instance, if a user lives in the U.K., and they change their iPhone and watch region to the U.S., the ECG feature should work. Thus, after Apple rolls out the ECG update to Apple Watches in the U.S., changing the location settings should make it work outside the U.S. as well. After changing the location, you might notice some other automatic changes, like the time, but if you want to use the ECG features, you will have to live with them until Apple officially launches the health feature for your region. It could take years before the feature is approved in other regions. For instance, in the U.K., it is believed that the approval process will take years. The watch will likely be used for a study as part of the approval process, which will be monitored by the Medicines and Healthcare products Regulatory Agency, which is the U.K. equivalent of the FDA. Additionally, 9to5Mac notes there is no guarantee that the Apple Watch Series 4 ECG feature will work after changing the device’s location. The report says Apple may change the way it determines location settings for the ECG feature. The Apple Watch Series 4 comes with electrodes added into the Digital Crown. The electrodes work with the watch’s back crystal to produce an ECG waveform to help pick up signs of atrial fibrillation. The ECG app can reveal abnormal patterns, and users can even present the 30-second ECG to their doctor in PDF form. Arterial fibrillation (AFib) is a major cause of stroke. Annually, it is responsible for about 130,000 deaths and 750,000 hospitalizations in the U.S. AFib often goes undiagnosed as most patients don’t show symptoms of it, explains Forbes. The Apple Watch Series 4 features both optical and ECG sensors. Both sensors can individually detect AFib. The Apple Heart Study, the clinical validation of the optical sensor, was conducted in collaboration with Stanford Medicine. The study started in September 2017 and is set to end in January 2019. The Apple Watch Series 4 ECG feature can also measure heart rate variability (HRV). HRV, which is the variation in the time interval between heartbeats, can be used to predict stress. So far, it has been difficult to design, implement and compare HRV studies, mainly due to the lack of proper standards. Now hardware like the Apple Watch 4 could pave the way to standardizing HRV measurements. Both the optical and the ECG sensor can help detect HRV. Further, the Apple Watch 4 allows users to measure their heart rate more accurately. The optical sensor continuously monitors their heart rate, while the ECG sensor can also be used to measure their heart rate more accurately. To measure heart rate via the ECG sensor, users must manually press the Digital Crown for a 30-second interval. “Apple Watch Series 4 regularly monitors your heart throughout the day, so you can check your heart rate anytime and keep track of your heart’s performance. What’s more, if it detects unusually high or low heart rates, it alerts you — even when you don’t feel symptoms,” Apple says.